Oh yes, I’m hitched! So now you know what has kept me away from blogging in the last few months. Although I missed sharing my adventures of the road, I enjoyed experiencing the ‘new’ adventure of my life – the love that I had been waiting for. It was an impromptu coffee visit at Taj Krishna when we decided to get engaged. The backdrop couldn’t have been more perfect – the sun had just set, the candles were lit, and the two of us settled down for our coffee. The evening turned out to be so romantic that choosing Taj Krishna for our post-wedding photo shoot was a foregone conclusion. 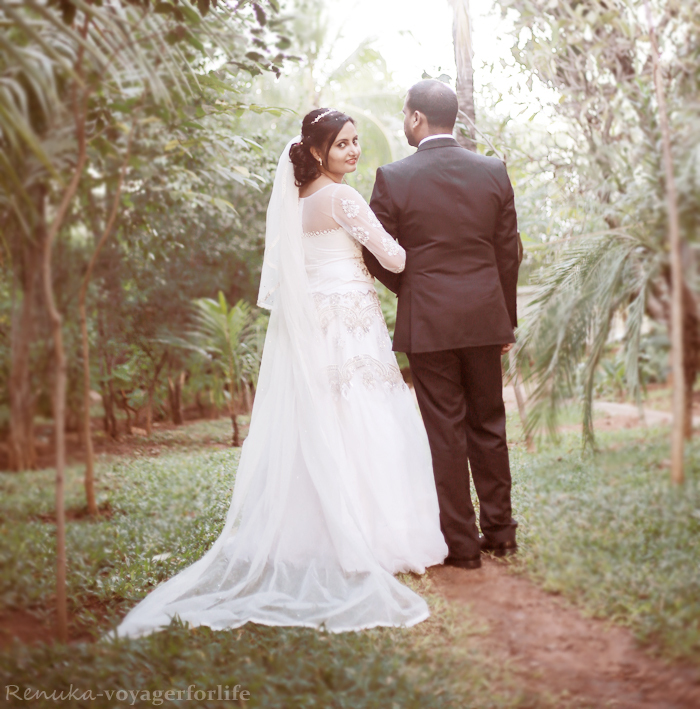 Taj Krishna is one of the best post-wedding photo shoot locations in Hyderabad. I thank them for making our special day even more memorable for us. Yeyyyyy!!!! Such an awesome news 😀 …..Heartiest congratulations to both of you. The photos are amazing and you look so stunning in that dress. Stay blessed. Congrats Renuka….Have a great life and continue ur adventure. Congrats Renuka! You make a beautiful and a radiant bride !Wishing you a wonderful married life ahead filled with loads of love and many more adventures 🙂 hugs girl ! My sincere congratulations, Renuka! Wishing you a happy married life. Congrats!! You look beautiful! I hope to meet you and your husband one day. both a great life of togetherness.. Your creative visualization and executing them to reality is adorable!!! Photos are awesome!! Congratulations! We were wondering why you haven't posted a new blog article in a while. Al the best for a long, happy, healthy and prosperous married life. Hope you guys get to travel a lot! Congratulations, Renuka! Wishing you the best as you set out on your new 'adventure'! Thanks Gautam 🙂 Yeah I will. Thanks Rachel 🙂 We'd love to meet u too. Thanks Tim:-) That is so sweet if you. What a lovely surprise for us! Wishing you both good health, happiness and many more adventures. Maybe someday you will share your wedding story with us 🙂 It sounds fascinating! The pictures are lovely. Congratulations, Renuka! You are a beautiful bride! I was suspecting something big was probably happening in your life. Wish you lots of happy years of marriage! Thanks Anjum 🙂 You're a real sweetheart! This place is a very nice place for a wedding and worth looking into. While I didn't have my own wedding here, I've seen the New York wedding venues in all their decked out glory. On a smaller scale, we had our prom there. This truly is a beautiful building with fabulous views. 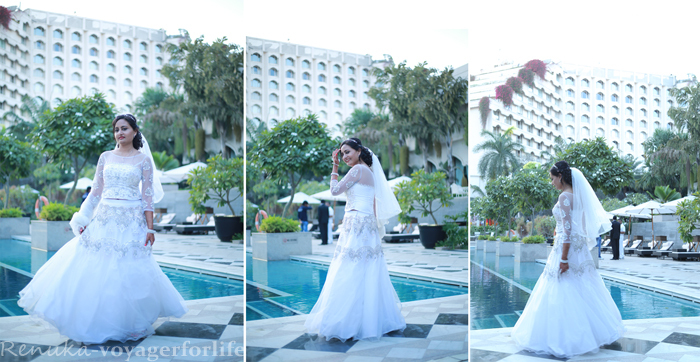 Yes, Taj Krishna is a beautiful locale for wedding photo shoots. Hey, didn’t know this was on your blog! Saw it while reading some Kashmir stuff. You look absolutely gorgeous! Talk of having a good camera..and equally good looking people infront of it. Lovely photos and lovely couple. God bless the beautiful union [I know 2 years late] but never toooo late to spread good wishes, right? Thank you so much, Savio! 🙂 Keep spreading happiness and good vibes! Beautiful couple! Both of you look perfect and made for each other. Enjoy your new journey with blogging and I always read your blog. It really makes me feel real and your journey is always beautiful. Wishing the same for ahead.